Product prices and availability are accurate as of 2019-04-21 21:54:12 EDT and are subject to change. Any price and availability information displayed on http://www.amazon.com/ at the time of purchase will apply to the purchase of this product. Professional Products 90 Feet Stainless Steel Fuel Inlet Fitting for GM/Mopar features fittings that are 100 percent stainless steel. 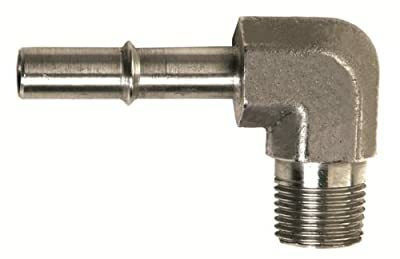 These fittings are designed to connect to stock, late model fuel injection fuel lines, both the inlet line and the return line. The fitting has 3/8-NPT male threads.